I’ve always loved wearing a crisp white dress all year round but now that I’m engaged I have even more reason to. 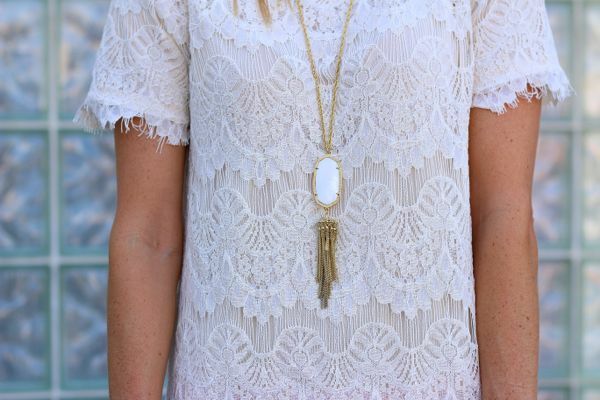 This one with it’s feminine lace details is the perfect dress for all these fun occasions like the engagement party, engagement pictures, showers or even the rehearsal dinner. I plan on adding a few more white dresses and other pieces to my collection as I get further in the planning process.